We adopted Sandy from Midwest BREW in the Spring of 2016. It was estimated that she was nine years old. 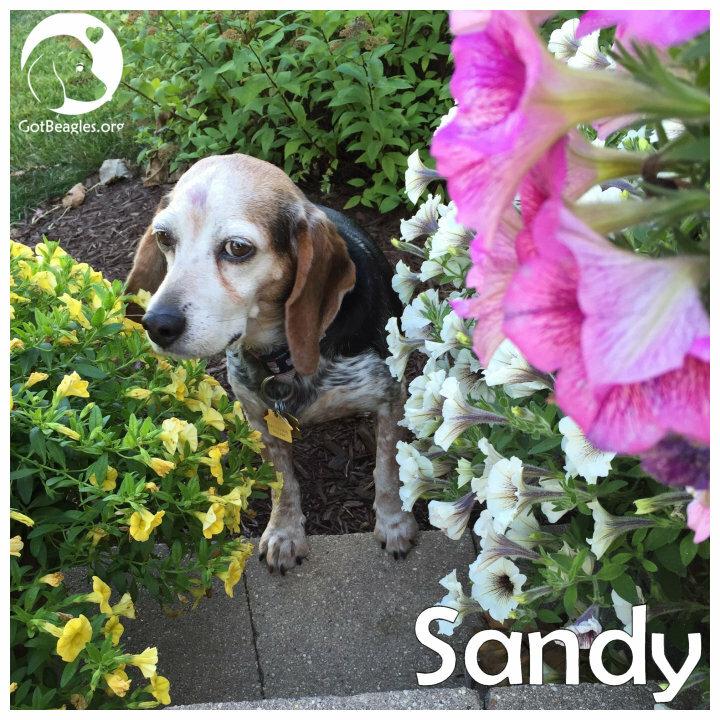 We were told that Sandy was given to a shelter because she was too old to continue to breed and bear healthy pups. She was a commodity to those people and could no longer make them money so she was discarded. Sandy was loved by everyone who knew her. She was a wonderful, beautiful angel and we will miss her immensely. It gives my family great comfort to know that Sandy was being treated the way she deserved to be treated her whole life. We loved that little beagle with all of our hearts. We will miss her greatly but we are finding comfort knowing that we could make her happy and comfortable. Run free little Sandy, cross the rainbow bridge into doggie heaven!